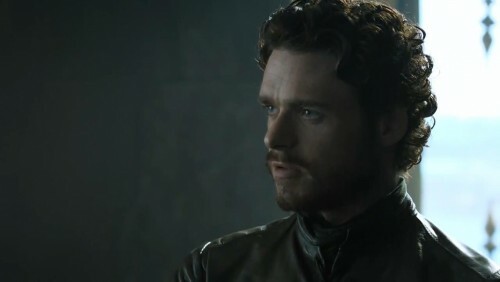 The young heir to Winterfell, Robb’s best friend is his illegitimate half-brother Jon Snow, whom he’s known all his life; however, his father’s ward Theon Greyjoy is also a close friend, which is a difficulty, as Greyjoy doesn’t care for Jon. Like most of the rest of Catelyn’s children, he takes after her with his auburn hair and blue eyes. 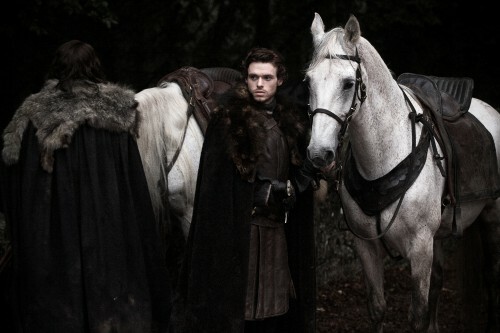 Robb Stark has been aged 3 years, to 17, for the show. Though his robust, stockier build is contrasted with Jon Snow’s in the novels, it seems unlikely that there’ll be as notable a difference in the show.